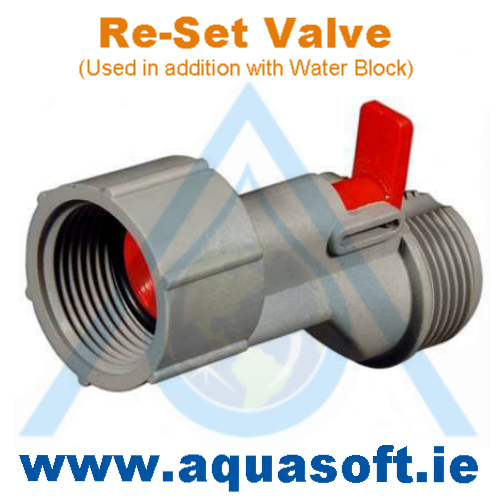 Aquasoft™ Ireland is proud to introduce our Water Block & Re-set valve range. Connected in line with Water Cooler piping installations as a first line defense against water cooler malfunctions, which can lead to flooding in a premises or Office block area where the mains water is connected and fed in directly. Water Blocks offer protection and an additional re-set valve which can be added to re-activate the mains water fed when the sensor or switch cuts off. 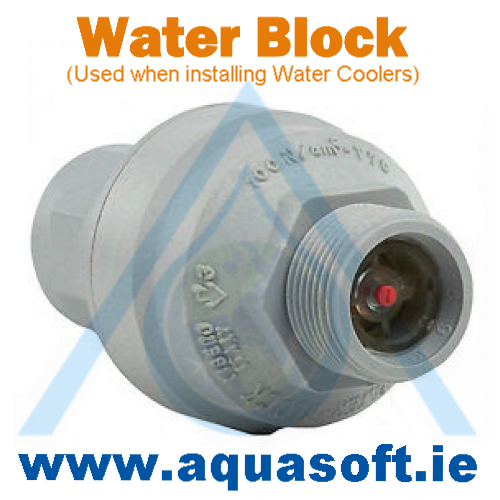 Aquasoft™ Ireland is proud to introduce the Water Block. 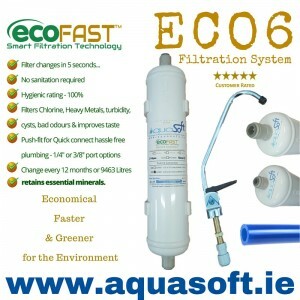 WaterBlock is an excess flow, safety shut-o..
Aquasoft™ Ireland is proud to introduce the Re-set Valve or re-set module. The Water Block is availa..